At the end of the day, success depends on how much you’ve accomplished since the start of your day. 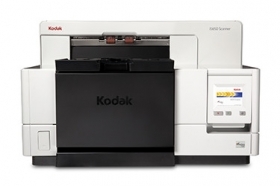 For years, award-winning KODAK i5000 Series Scanners have been the choice of the most demanding customers in the toughest scanning environments – service bureaus, business process outsourcing organizations, and corporate scanning departments. The newest i5000 models offer efficiency and reliability that can positively impact productivity and enable true, high-volume processing.